Continuing on my 2018 book pile… this one was a win! 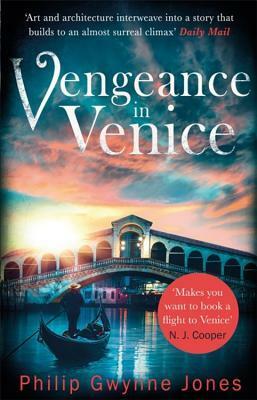 The blurb on the cover says that it will make you want to book a flight to Venice. I’m here to attest that for once, the blurb is 100% true. Luckily, I had done so before reading the book, as we had the opportunity to go to Venice earlier this year. And so the book reminded me of holidays, which always gives a book a few brownie points, regardless of its inherent literary value. This mystery is quite entertaining and kind of cozy (if you don’t mind a few gory details of a murder through chards of glass), set in the artistic milieu. Venice is famous for its Art Biennale, and critics are rather fierce and competition rather cut-throat, until things are getting a bit too literal to the taste of British Honorary Consul Nathan Sutherland, who had mainly come to enjoy the drinks and finger food at the preview reception. It is clear that the author lives in Venice or has lived there for a good while. Local details are plentiful, as are entertaining side notes on good food and good drinks, which is never lost when a novel is set in Italy. Characters spend an inordinate time chatting over coffee, so much so that I began to fear for their health due to caffeine overdose. The mix of Italian charm and setting and British witticism is pretty hard to resist. It’s not an unforgettable book, but it fully served its entertaining purpose, and I know where I’ll turn next time, because I’ve understood there is more than one in this series!